To start from a year ago until now makes us feel unstoppable. Why not become Supernova. Why not become Victories. Without our readers are words would simply remain black and white. So we continue to color our words with joy. 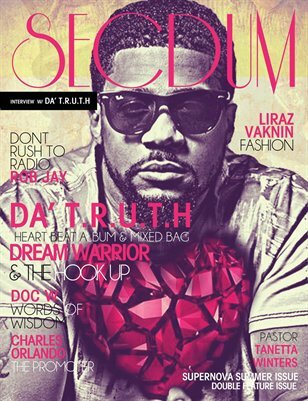 We have Da'Truth who talks about his new album and Mixed Bag, Liraz Vaknin Fashion, Doc W Words of Wisdom is back, Pastor Tanetta Winters, Charels Orlando The Promotor, This issue Dream Warrior's are Thomas T.C. Clay and The Hook Up. Rob Jay Don't Rush to Radio.